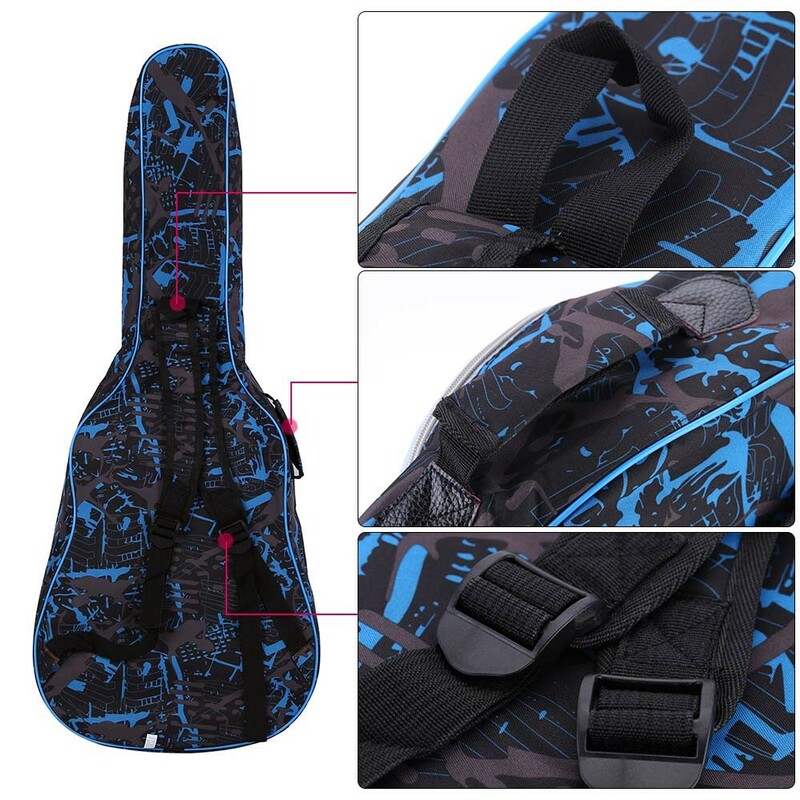 Made Of Excellent Quality 600D Water Proof Nylon Oxford, Protect Your Guitar. Made Of Excellent Quality 600D Water Proof Nylon Oxford. 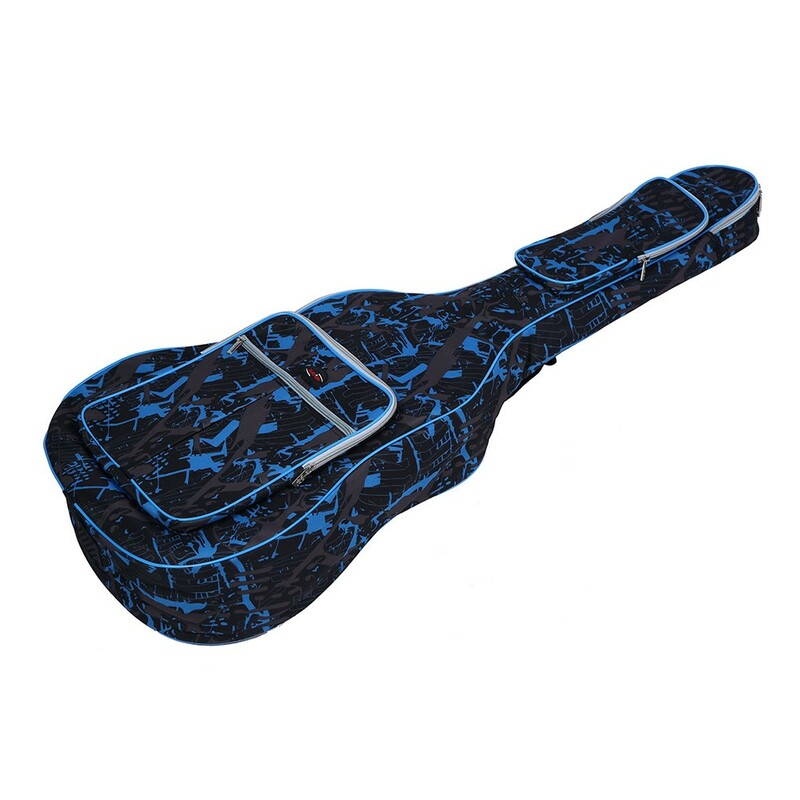 The Camouflage Blue stylish appearance and solid construction will keep your guitar against scratches and dirt. 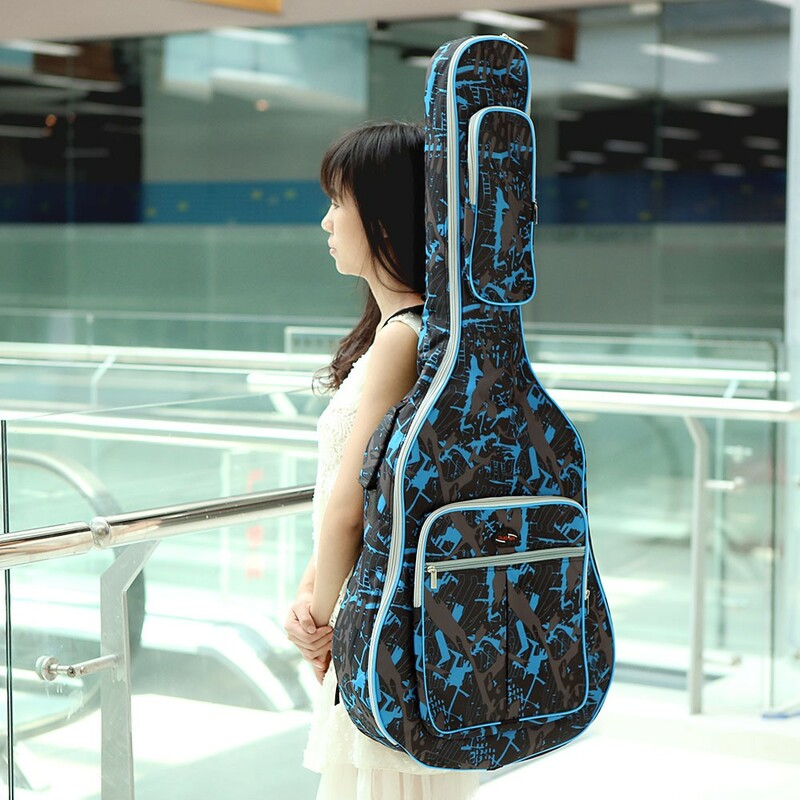 Padded and soft-sided design, and a piece of rubber at the bottom, protect guitar from bumps during transport and carrying. 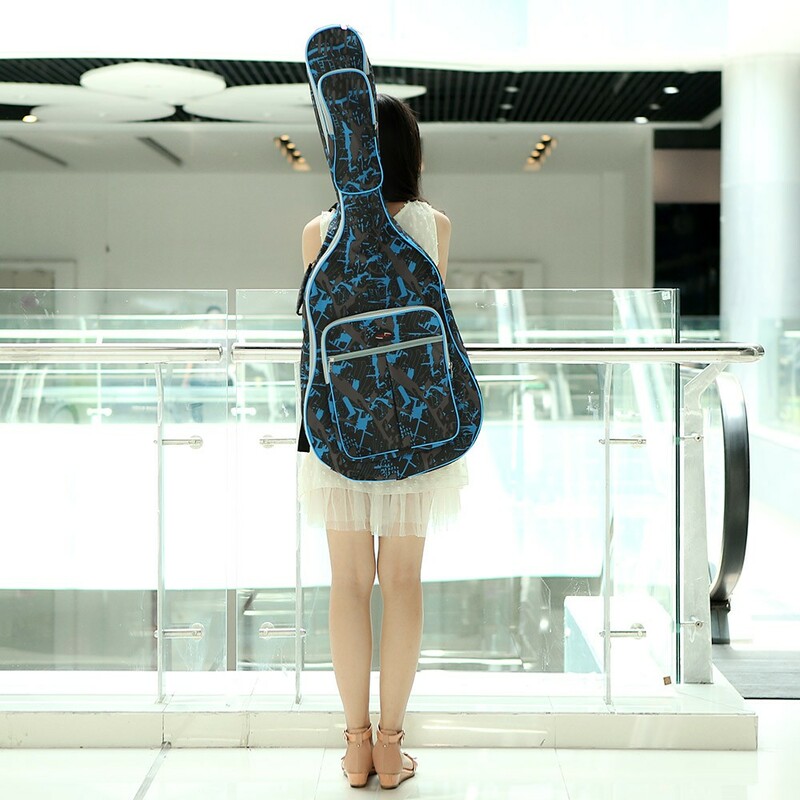 Backpack type straps, gripped handles on the side ensure guitar can be carried however a user wishes to. With pockets to store your other items. 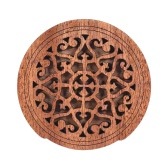 Designed for 41" acoustic guitar. Q whats the measures (size) (lenght, wide, etc) in centimeters of this bag? Quais as medidaas desse violão em centímetros? 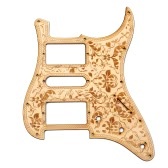 Will this fit a Fender DG-60 acoustic? It depends on how long your guitar is. I have a pretty big acoustic, its a Yamaha, and it fits pretty good. I even have a bit of space around the body. Well packed with quick shipping. 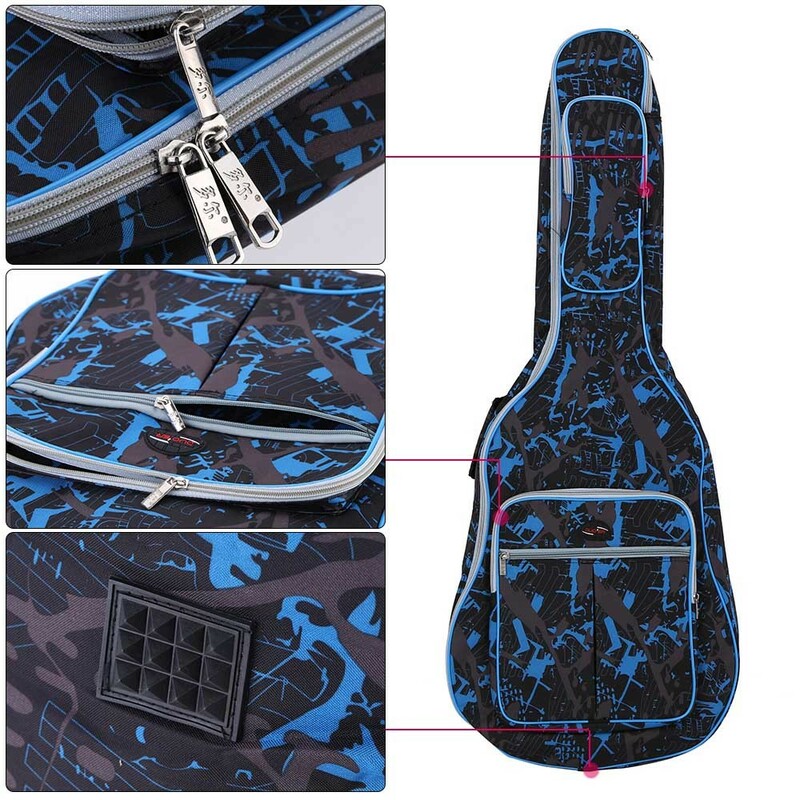 Good guitar bag for the price,and guitar fits. AWESOME TRANSACTION AND FAST SHIPPING! 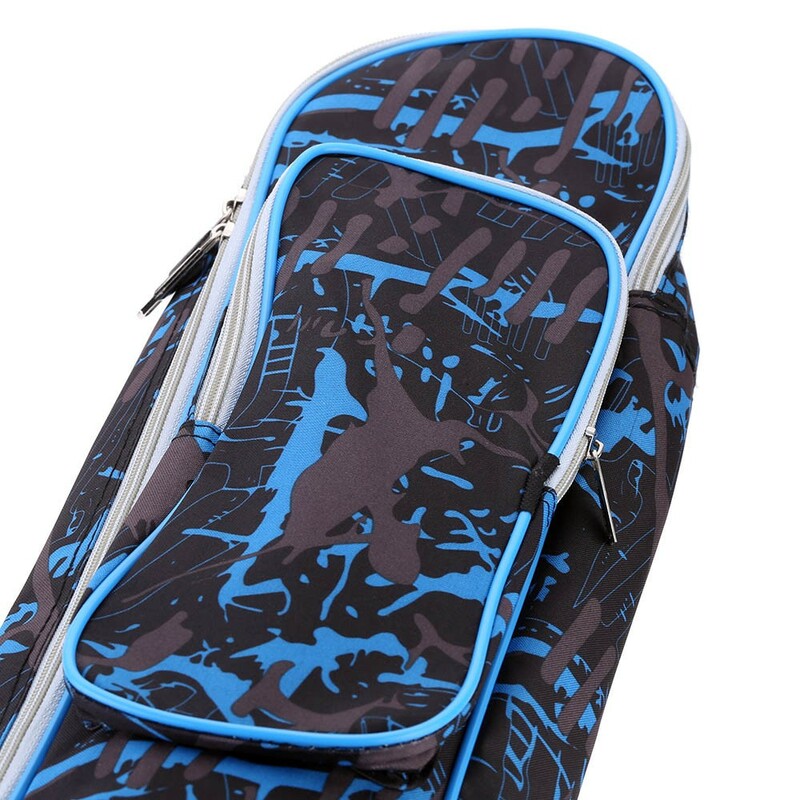 I've gotten loads of compliments on this guitar case. 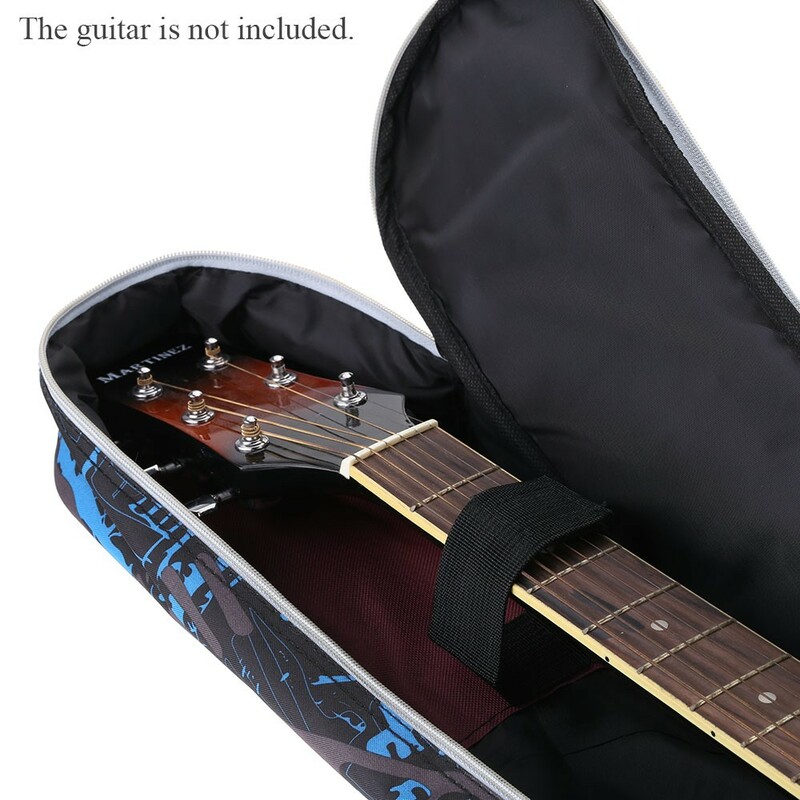 It is not thick, so it will not protect your guitar well. 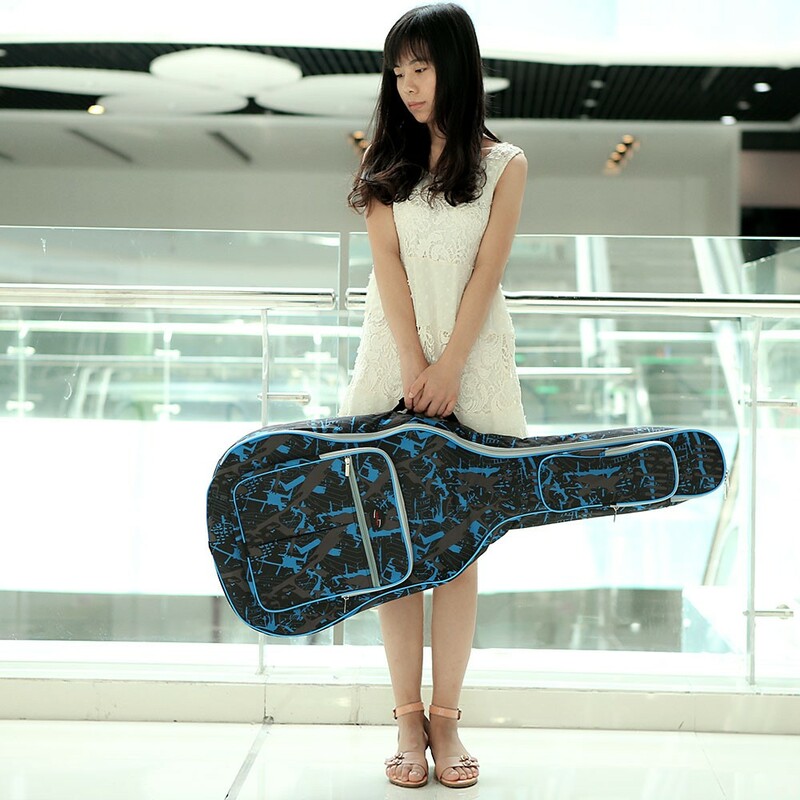 It needs more padding to protect your instrument as it is very thin. I'd say it's more for style. 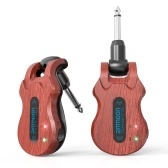 Reasonable quality for the price, and a very nice design, however the zip should go further round the base to allow easier removal of the guitar. 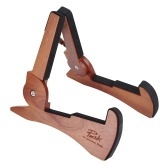 Pocket sizes are just right, and the strap and handle are sturdy. Exactly what you would expect at the price. 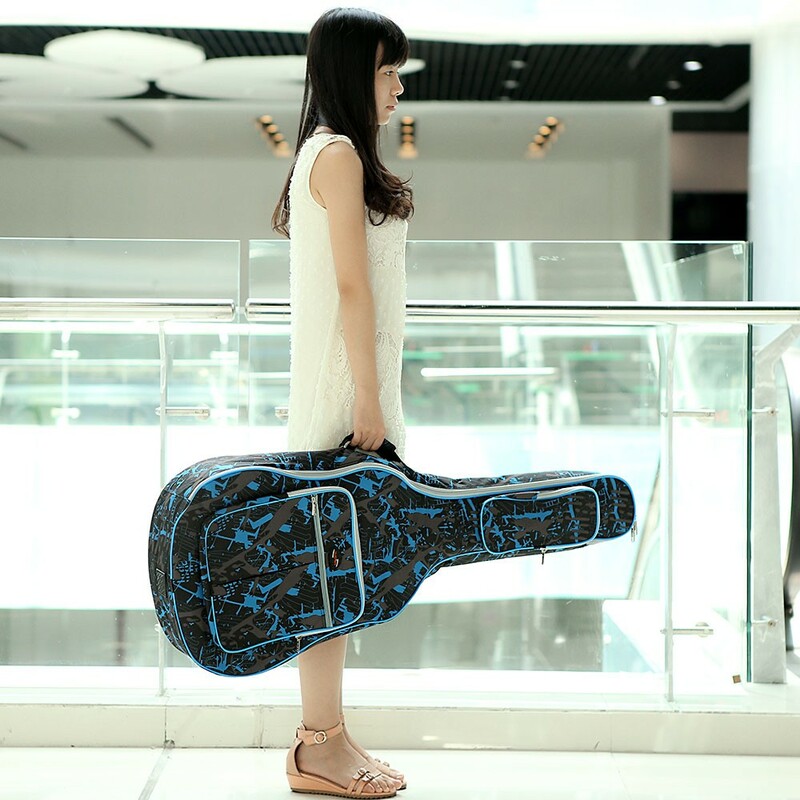 The bag fits my acoustic guitar great. The material is plastic but looks great. The pockets are sufficient for a bunch of stuff. So far it is working really well. The shipping does take a while. It took about almost 4 weeks, but it was worth it. The case itself is really nice. I was afraid my acoustic wouldn't fit because the body is pretty big but it fits nicely. There's 3 pockets with plenty of room. I was able to fit my capo, tuner, and a lot of other papers and things. I still have an extra pocket. The only problem I had with my case is the zippers. They are not the best for the pockets. One was obviously broken and the other was sewed wrong. 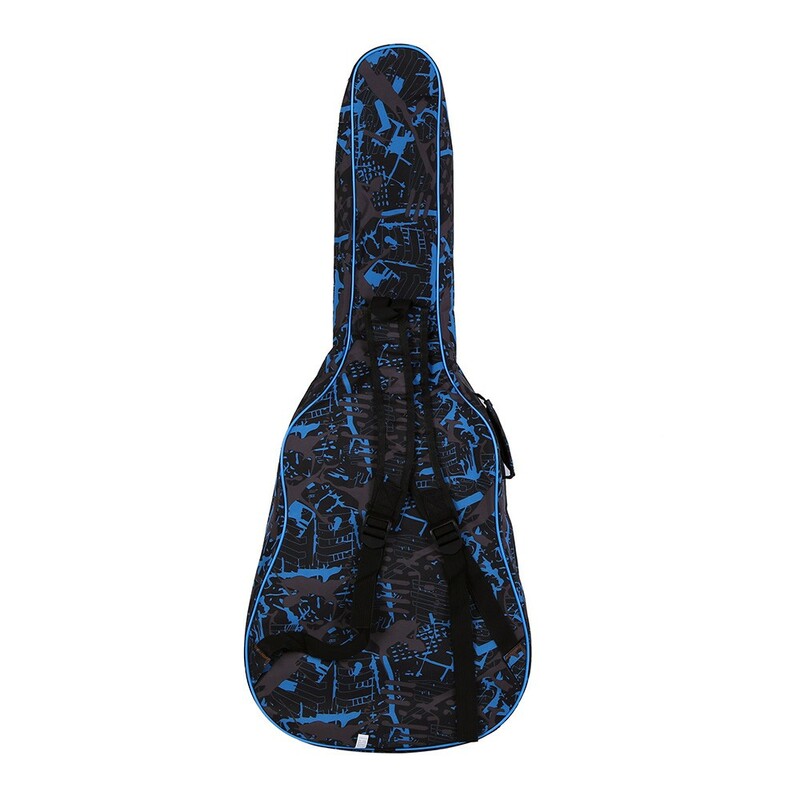 The case is padded but I'd advise you to be careful because it is light weight so you could damage your instrument. The design is beautiful and overall I can say it was worth it. So I've been having the case for 4 months now and I can honestly say don't waste your money if you're a heavy guitar user. The zipper to close the guitar is already broken and seams are coming off. The case is basically falling apart. As soon as I have the money I'm going to get a more durable, reliable case. 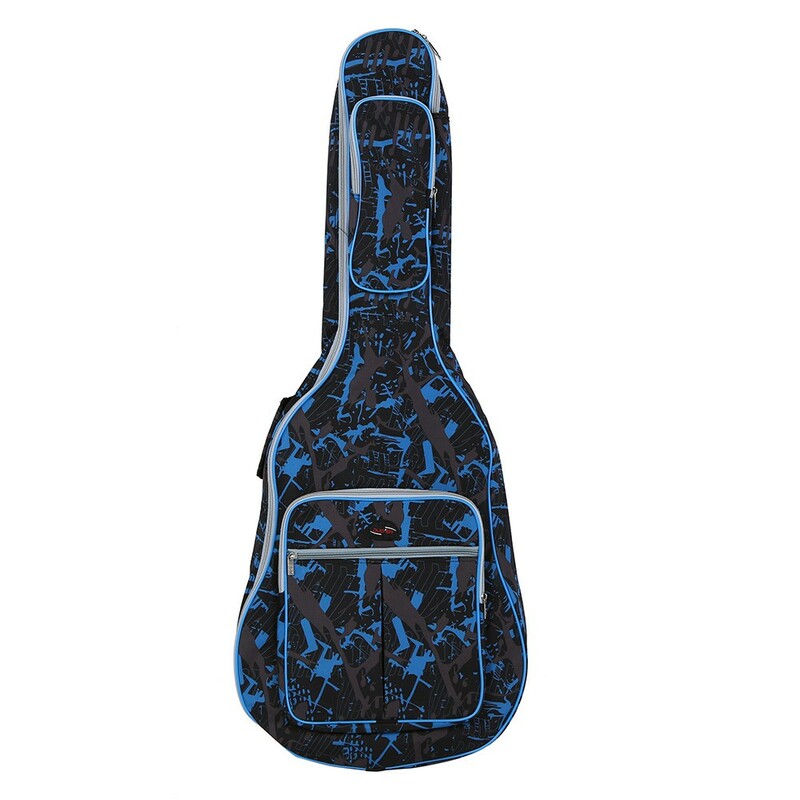 I use my guitar everyday and take it to school and all and the case looks like I've had it for years. Arrived early and is great quality.